There is a very subtle shimmer of amethysts in the water at the center of this painting, another in my series of maps to nowhere. 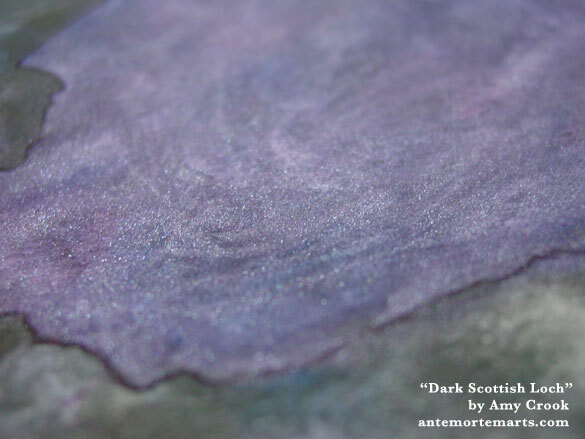 The rich mineral-based paints give very understated, muted colors, with only that tiny bit of shimmer to add lightness. I outlined the ‘loch’ with Sharpie marker, and named it after the above lyrics from The Police’s Synchronicity II. There’s even a hint of monsters in the gorgeous texture of the lake, a suggestion of something lurking in the forest surrounding it as well. A shadow on the door of your mind. 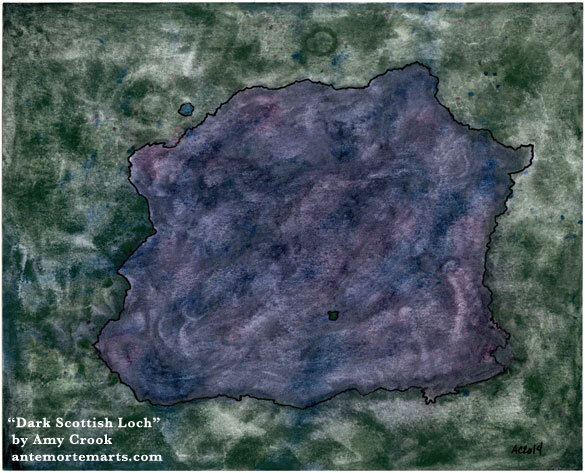 Dark Scottish Loch, 10″x8″ Sharpie marker and Primatek watercolorn on archival paper. 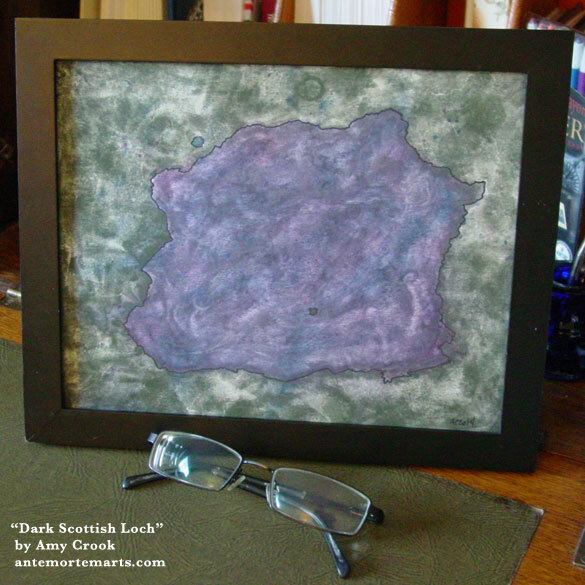 Above, you can see the amethyst paint shimmers ever so subtly in the dark waters of the loch. Below, you can see the painting in a frame, suggesting at secrets to be found at the bottom of things.